Many products that operate in warm, humid environments must be tested to withstand fungal attacks, since this problem can cause a myriad of operational challenges. From interfering with delicate system components to causing premature wear and corrosion, a fungal infestation can lead to a number of problems than affect the lifespan of your product and potentially cause serious liability issues. To varying degrees, live fungi will use wood, paper, leather, hydrocarbons, PVC, polyurethanes, certain plastics and paints, as well as other materials, as fuel for growth. Understanding how these materials will respond in conditions conducive to fungal growth is a key part of testing and engineering more resilient products. 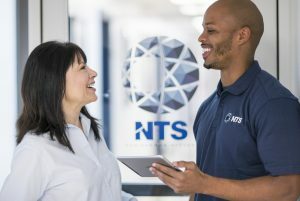 At NTS, we can develop a testing program that helps you maintain compliance with all relevant standards, while providing the insights necessary to build smarter and more effective products overall. Fungal growth may cause changes in optical, mechanical and electrical properties of a material. In other cases, fungi can cause severe aesthetic changes to products designed to be aesthetically pleasing. Finally, for products designed for home use, fungal infections can even become a health hazard. While some products are more susceptible to fungal growth than others, no product is entirely fungus-resistant. Any product designed using carbon-rich organic materials will typically provide a food source to support fungal growth. On the other hand, synthetic polymer materials generally do not contain enough of a food source and thus do not support fungal growth. However, carbon-rich constituents and contaminants in and on these synthetic materials can provide the needed food for fungi. Paints, lubricants and adhesives commonly used in fungus-resistant polymers can often provide a toehold for fungi. The resulting report will provide you with invaluable data and guidance for further product development, allowing you to promote consumer satisfaction and safety within your product design. While there are many ways in which fungal attacks can penetrate your product, a number of common problems and susceptibilities can be found across products. Fungal infestations can be found under protective covers, marring the appearance and degrading the optical capabilities of your product. 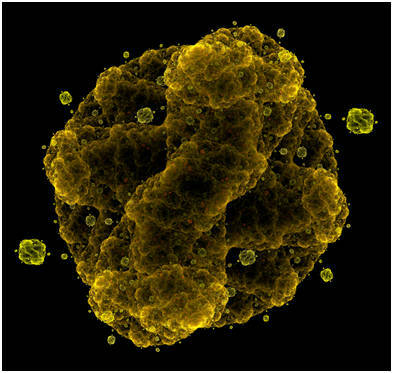 Metabolic waste products from fungus can cause corrosion or etching. Electrical systems can develop undesirable conducting paths. Fungus can block delicate moving parts. Fungi can introduce internal moisture, affecting system performance. However, this list is far from exhaustive. That’s why effective, rigorous and thorough fungal testing is so important for product development. Unforeseen susceptibilities may go unnoticed until products already on the market begin to fail. These tests involve inoculating the material being tested with naturally occurring fungal spores, such as Aspergillus niger, Penicillium pinophilum, Chaetomium globosum, Gliocladium virens and Aureobasidium pullulans. The fungal-contaminated material is then placed, for at least 28 days, in a hot and humid environment. This will foster fungal growth. If the material contains enough of a food source, fungus will grow on the material. At NTS, we have decades of expertise that enable us to provide the precise controls required to successfully simulate the prescribed conditions for fungus testing. We cover both U.S. and European fungus groups. Contact us today to learn more about how we can help you address your fungus testing challenges. Any product or system component that’s regularly subjected to humid conditions should be tested for fungus resistance. 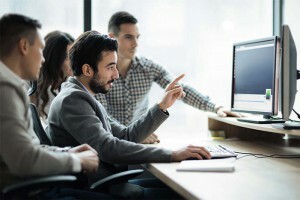 This type of testing is about more than just regulatory compliance — it’s about giving your customers the peace-of-mind of knowing their purchase will be able to withstand all the conditions it’s exposed to. While fungus testing is required for certain military and aviation components, it can be especially useful for consumer goods, too. With increasing concerns about allergies, certified fungal resistance is an important selling point for many types of product. In a crowded marketplace, anything you can do to stand out from the competition is beneficial. Fungal resistance testing is one way to show customers your product was engineered with their needs in mind. Furthermore, rigorous fungal testing, while perhaps costlier for development, will save you money in the long run, as it’s effective in staving off costly recalls or bad press due to regular product failures. In addition, it can be a useful tool when branding and promoting your product in warmer and humid climates. While some consumers may not be aware of the need for fungal resistance, the percentage of those who consider such things is much higher in fungus-susceptible climates. The various ASTM testing standards have been developed in order to provide targeted testing practices for specific materials. As such, the materials used in your product will determine which ASTM standard is employed. This testing approach is designed specifically for polymer materials. Specifically, as polymers are typically non-carbon and thus automatically fungal-resistant, this testing standard is used to determine the fungal resistance of secondary products most commonly associated with polymers. Such associative products include lubricants, plasticizers, colorants, cellulosics and stabilizers. However, while the polymers used in the products in question may be unaffected by fungi, secondary materials affected may cause significant product damage and failure nonetheless. As such, it’s crucial that polymer products be tested, preferably using a standard that focuses on their unique fungal susceptibilities. This testing standard was developed to address the prevalence of fungal growth within the facing materials used in insulation. Due to the health risks associated with fungal growth, along with the nature of insulation, which becomes effectively hidden after installation, this testing standard is hugely important for builders and the product developers offering insulation. This testing standard has become increasingly important as warm climate homes — historically built without insulation, as they did not include heating systems — began installing air-conditioning units. With the rise of air conditioning, homes in warm and humid climate began finding uses for insulation. Unfortunately, these climates are also the most susceptible for fungal growth, meaning fungus-resistant insulation materials needed to be developed. ASTM has developed a number of other targeted standards for the purpose of providing material-specific fungal resistance tests for product developers. While they are too numerous to detail here, our labs are familiar with them and are well-prepared to assist you in finding the appropriate standard for product testing. This testing method was developed specifically with the aviation industry in mind. In fact, it’s part of a more complete battery of tests that includes shock and crash safety, the effects of magnetism, salt and fog, and sand and dust. However, for our purposes, the standards for fungal resistance are of central concern to us. While this approach may be part of a larger testing standard, it’s also highly useful for fungal testing. It has been developed with exacting standards in mind, since equipment malfunctions caused by fungal infestation can have catastrophic consequences. Knowing that our lab has the proficiency to meet these exacting standards in their own testing serves as proof of our ability to exceed your expectations when testing your product for fungal resistance. This method of fungus testing is based on standards developed by the United States military. Essentially, this approach attempts to simulate potential product usage conditions in order to determine whether that product can effectively resist fungus. As warm, humid environments are most conducive to fungus growth, testing using this method creates a climate-controlled environment within a self-contained chamber. The test begins when the product under scrutiny is sprayed with an aerosol suspension of fungus spores. The product is then held in the climate-controlled chamber for the duration of the test. Trained professionals will then regularly check on the product’s surface, observing any changes to the fungal environment. Many people have come to rely on this method due to its broad spectrum of spores tested. Although testing for aspergillus, penicillium and chaetomium is standard procedure, this test can also be easily adapted for testing rarer fungi as needed by the product designer. However, most importantly, it has been proven to be provide consistent and accurate test results. However, it is not without its potential drawbacks. Per the standard testing procedure, the testing environment does not vary. As such, there are potential environmental situations that may not be tested by a static environment. Furthermore, this test does not simulate regular human interference, (such as product cleaning) whereas there is a reasonable expectation that humans will interfere with spore growth under real-life conditions. Therefore, while this testing method is a highly effective standard, and more than sufficient for most product testing, there are some products that may benefit from alternative testing standards. That’s why we offer a wide variety of testing standards in order to ensure that your product’s fungal resistance is verified under accurate simulating conditions. 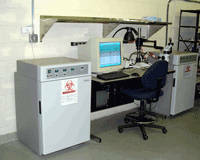 NTS can provide fungal testing and other quality-control services from any of our network of nationwide testing labs. We have more than 50 years of experience developing accurate testing methods for a variety of environmental, mechanical and dynamic factors. Our engineers can assess the needs of your project and recommend a specific set of tests that takes care of both quality control and relevant regulatory issues early in the product development lifecycle. To discuss specifics with our team and request a free quote, contact an NTS lab near you.